The items in this box are meant to enhance our practice and help ground us in this transition to chilly autumn days. For the love of yoga, let’s get to it! The best part is opening the box and just seeing past the Packing List at all the goodies inside. Knowing you get to pull each one out, one by one. It’s like a never ending birthday present, but tailored to my lifestyle! 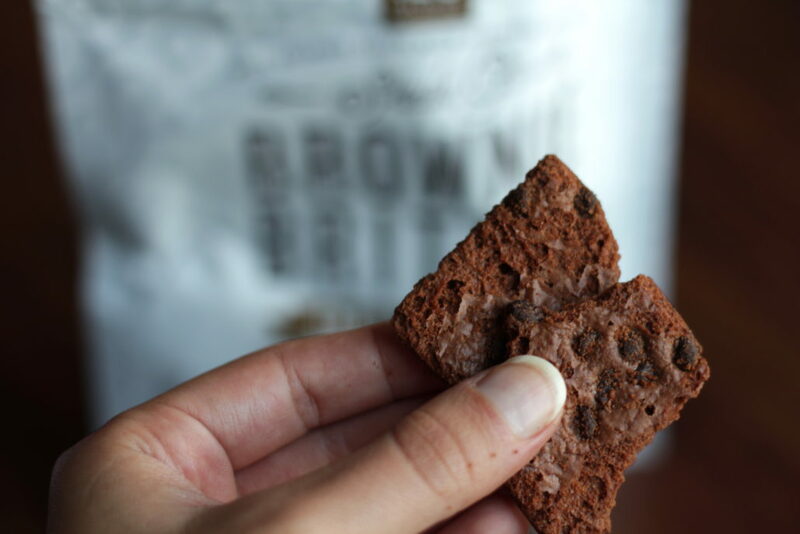 Right off the bat I saw food… brownies to be specific… brownie BRITTLE to be reaaallly specific!! Yes, Yogi Surprise, you know me too well. 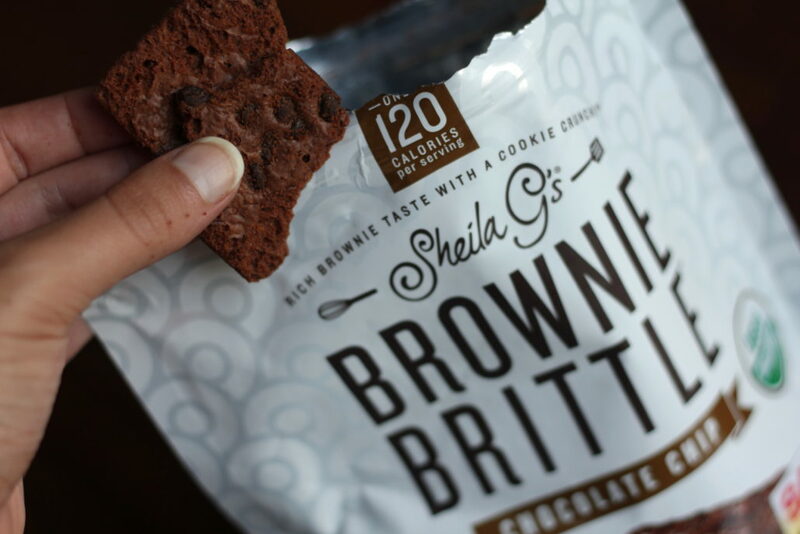 You know it’s going to be a good box when you kick it off with Sheila G’s Brownie Brittle! I’m not going to lie, I opened these immediately and started munching on them. WOW. SO. YUMMY. I had to stop myself from eating the whole bag and quickly packed it away, saving it for my Teacher Training this weekend as a good power up snack. 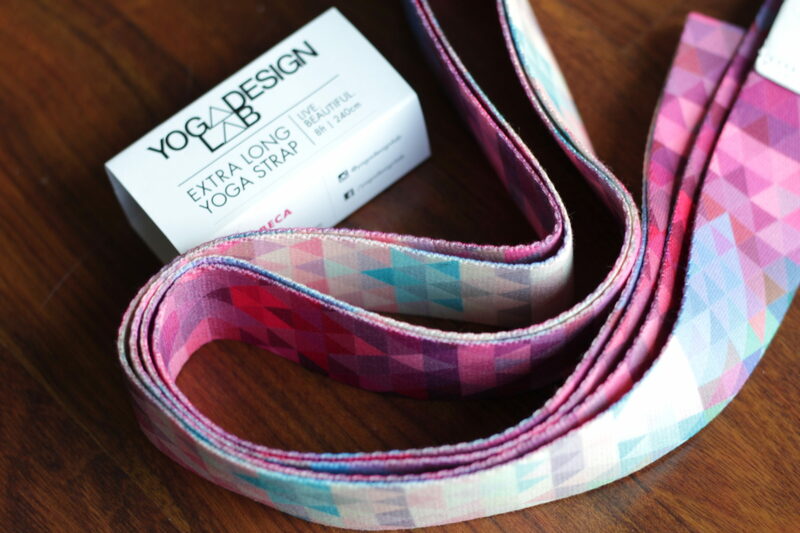 Underneath the Brownie Brittle was a beautiful geometric designed yoga strap from Yoga Design Lab and Scentuals Yoga Mat Spray. 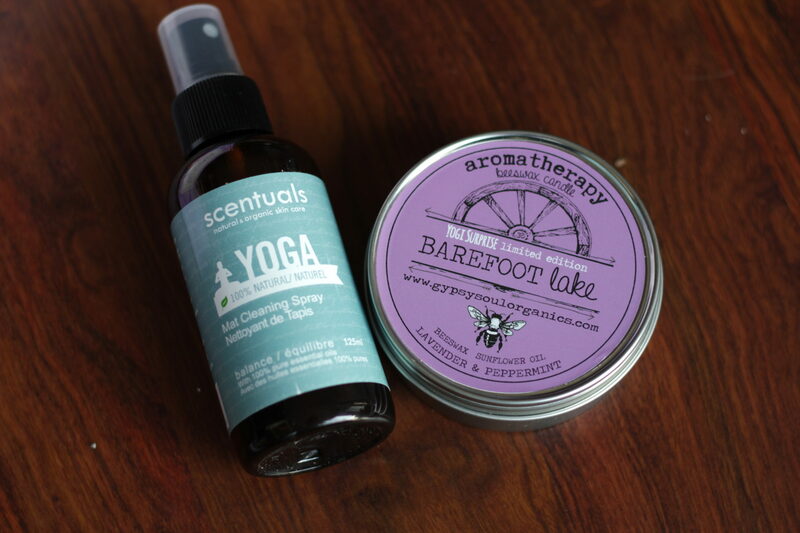 Super handy to keep in my Yoga bag for my Teacher training as well. We started using straps like this one so it definitely came at the right time and in an extra long length. Also, it’s so pretty! Next was a 100% beeswax candle in a cute tin from Barefoot Lake. It has a yummy lavender and peppermint scent and it is going to accompany me the next time I take a bath. It is meant to help slow down and soothe creating a tranquil space between body and self. I kept digging through the box to find an aromatherapy incense sampler made from a blend of natural essential oils and hand rolled by local village women in South India. 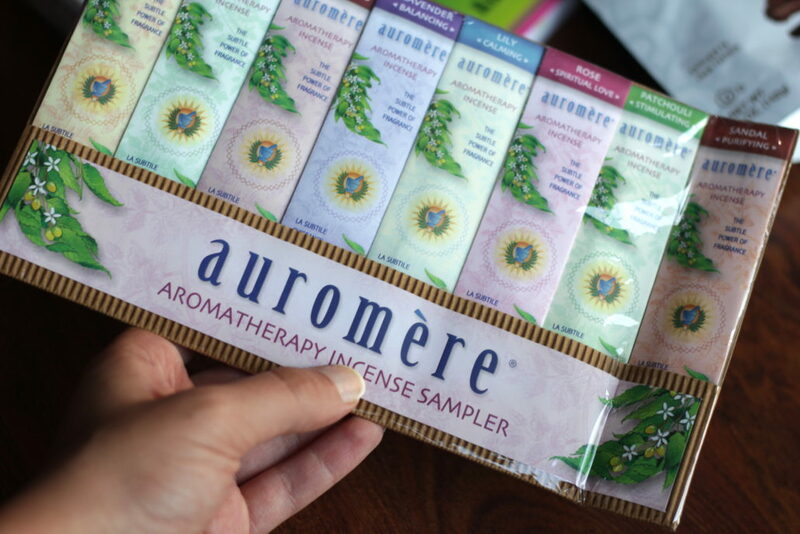 25% of Auromere’s incense profits go towards supporting education in rural India, so go check them out!! 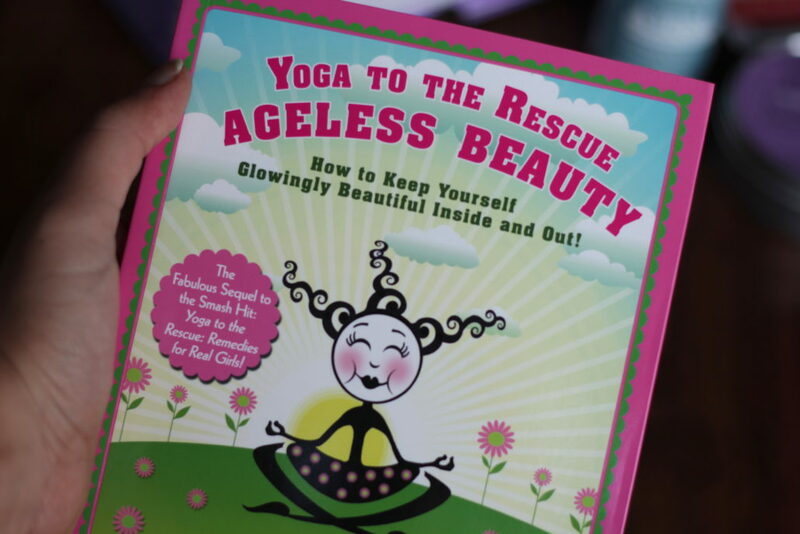 Also included at the bottom of the box was a book by called Yoga To The Rescue: Ageless Beauty. 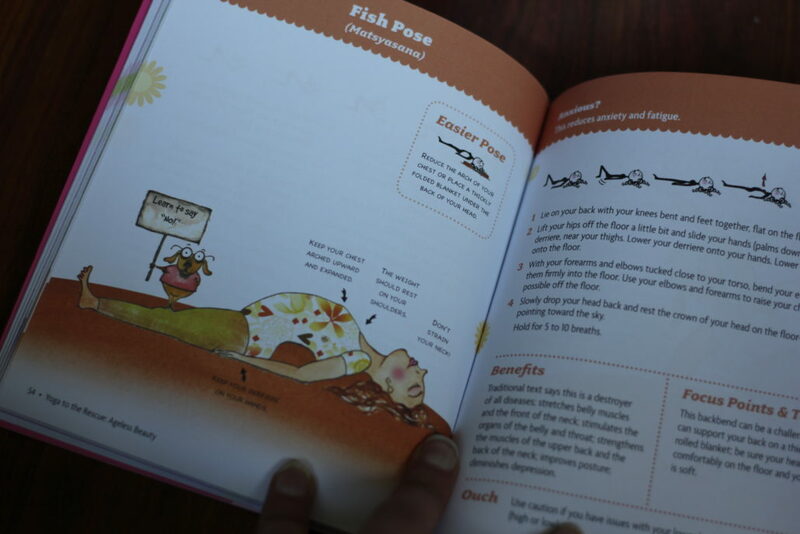 It talks about some key poses that help keep the body rejuvenated, somewhat slowing down time. Such a handy little book! 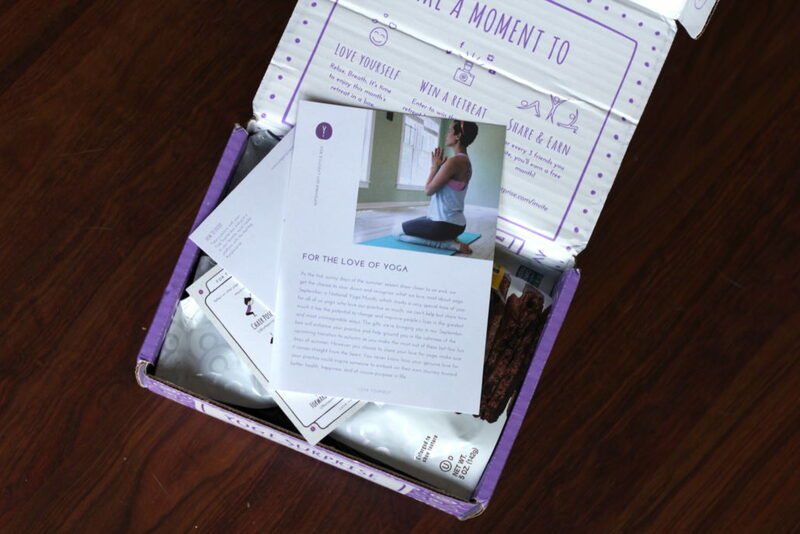 I always love when there is food and something to read while I eat the food in my Yogi Surprise Box hehe. 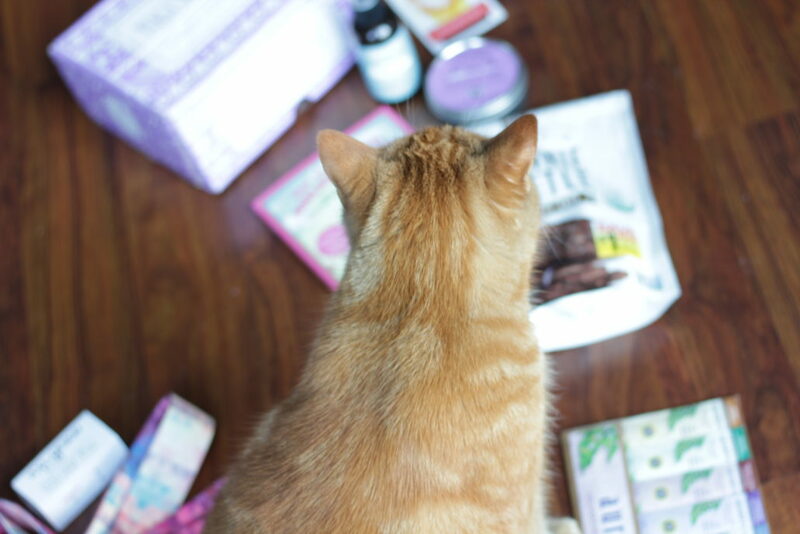 I went through my Yogi Surprise Lifestyle box, but the fun isn’t over yet! 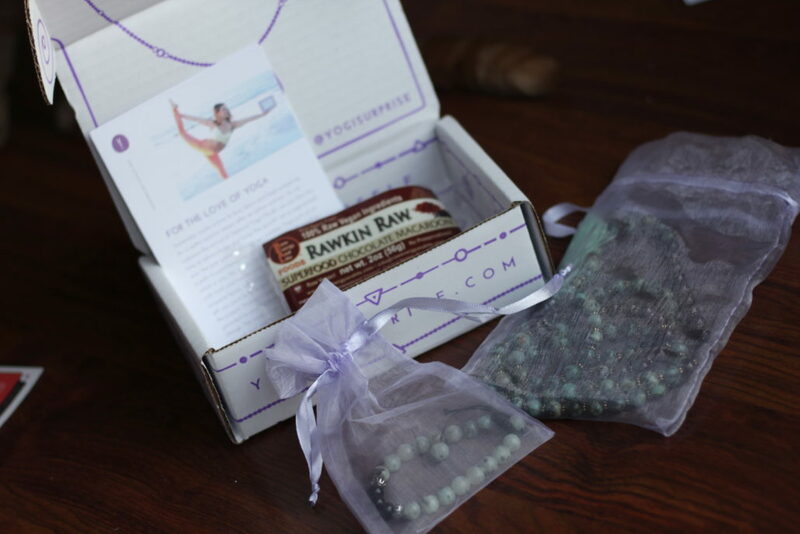 I also got the Yogi Surprise Jewelry box! A cute little box that has two pieces and a snack. Opened it up and saw my beautiful friend Alexzandra Peters on the insert. SO that was awesome already. 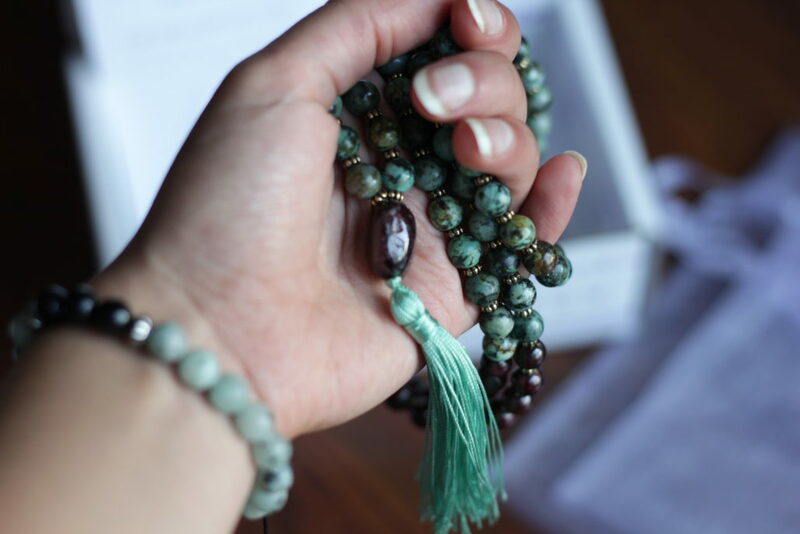 Just after I spotted a gorgeous mala, with deep and dark colours I knew I would love right away. Made from African Turquoise and an accompanying Jade beaded bracelet. What a gorgeous set, and the quality feels incredible! Love the matching tassel as well, the pop of colour is stunning.